School leaders making plans for alternate location. 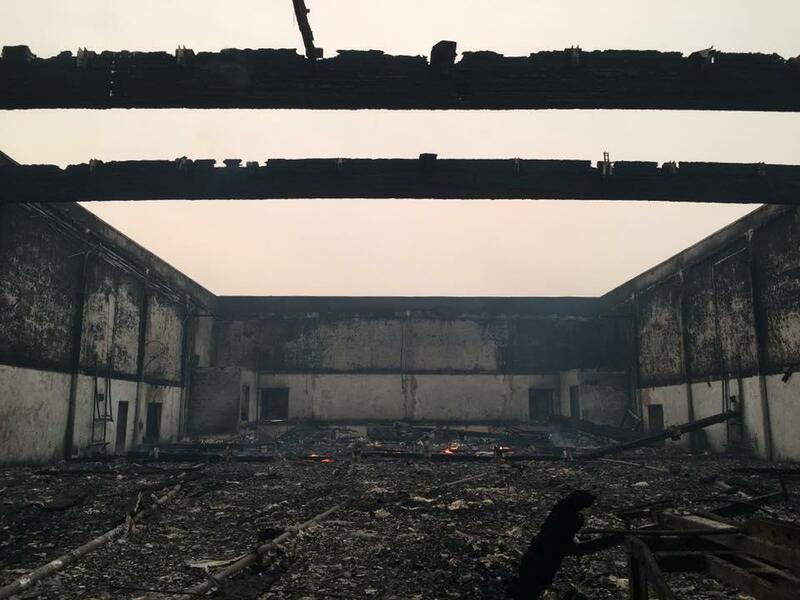 On Monday, Oct. 9, the Tubbs Fire—a wildfire that has burned at least 28,000 acres in Napa and Sonoma counties in Northern California—swept into the Larkfield-Wikiup area of Santa Rosa, California, United States and destroyed Redwood Adventist Academy, located on Mark West Springs Road. No students or faculty were on campus at the time. For much of Monday, the fate of the K-12 school was unclear. Rumors spread, but no one knew for sure what had happened. Twice during the day, Principal Angie Weems and Northern California Conference associate Education superintendent Albert Miller attempted to visit the property, but they were unable to get through. Later in the day, Weems’ husband traveled to the area, via backroads, and took photographs of the burned-out school buildings. “It’s a huge loss to look at the pictures and see everything totally gone,” said Weems. Several of the students lost their homes to the fire. Weems had not heard from everyone yet, so she didn’t know the total number. Grades 7/8 teacher Jessie Michel grieves for her students. “I’m just so heartbroken for the kids,” she said. Weems’ immediate goal is to make sure the students don’t lose valuable time. “Our plan now is to have the school open as soon as possible at another temporary location next week,” she said. Although the property was insured, there will be other costs for the school and its families. You can help! Make donation at www.purecharity.com/redwood-adventist-academy. For a bulletin insert/flyer to share in your community, please visit www.nccsda.com/RAA. Kids can share their support by sending cards to the Redwood students! Write to them at the following address: Santa Rosa SDA Church, Attn: RAA Students, 840 Sonoma Avenue, Santa Rosa, CA 95404.